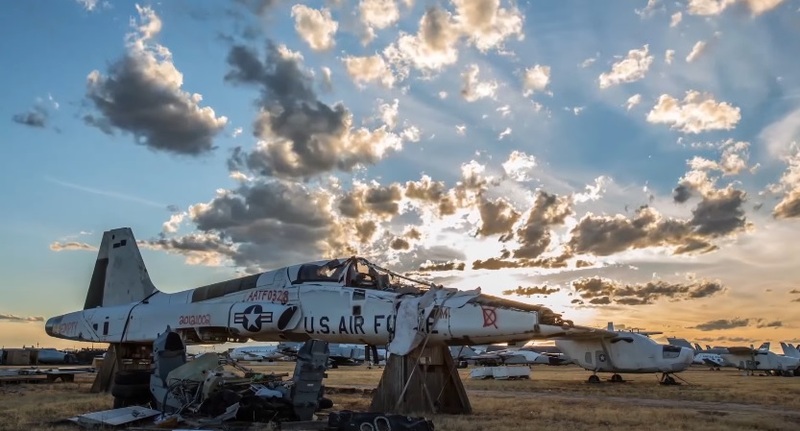 The incredible time-lapse video in this article shows U.S. Air Force (USAF) aircraft boneyard you as you’ve never seen it before. Commonly referred to as the “Boneyard,” the 309th Aerospace Maintenance and Regeneration Group (309 AMARG) at Davis-Monthan Air Force Base (AFB), Ariz., contains about 5,000 retired military aircraft throughout 2,600 acres. The 309 AMARG is a one-of-a-kind specialized facility within the Air Force Materiel Command structure: in fact crews at the boneyard preserve aircraft for possible future use, pull aircraft parts to supply to the field, and perform depot-level maintenance and aircraft regeneration in support of Air Force operations.